Today is Wild Horse Rescue's book birthday! I am very proud of this book. It's the first book in a new series set in Alberta. 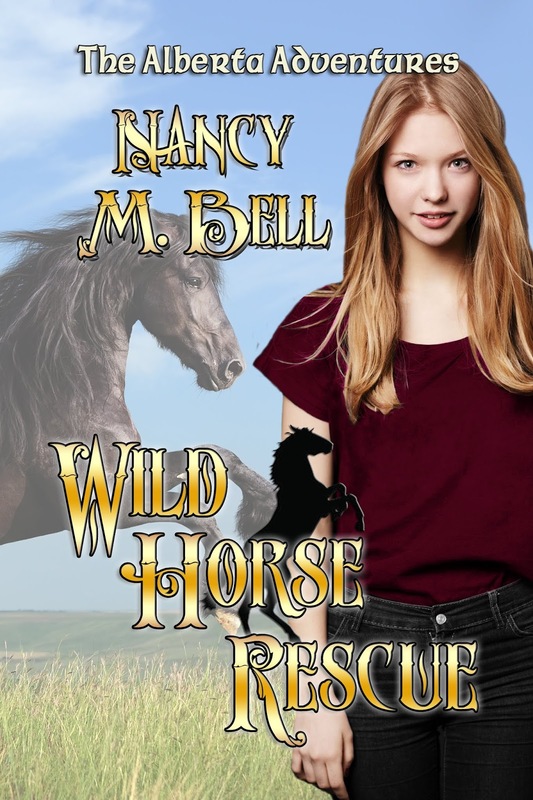 Wild Horse Rescue is Book 1 in The Alberta Adventures. Click on the cover to find out where you can get your copy. 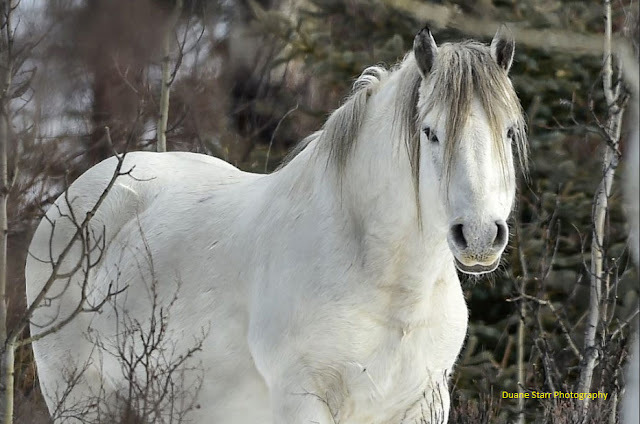 To all horses and beasts of burden, both wild and domestic, may you live in Peace as the Universe intended. “I mentioned the horse trap to my dad,” Joey remarked. 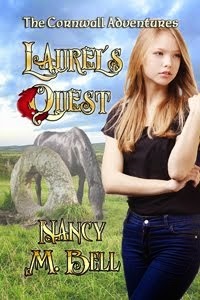 Laurel and her two friends rode side by side across the short grass, heat waves shimmering over the prairie. The smell of curing hay mixed with the faint sent of crushed wild flowers under foot and dry dust blown by the hot wind. “What did he say about it?” Laurel twisted in her saddle to see him better. “Did he have any ideas?” Coll frowned into the distance. “Really? He’d really help us?” Laurel’s heart leapt in excitement. If Harry would help them, maybe there was something they could do about the situation. Harry Good Smoke was aware of the young people’s obsession with the wild horses and encouraged it. Maybe there was hope for Coal and his band after all. “He was born wild? That’s brill!” Coll exclaimed turning to take a better look at the horse walking calmly by the side of his horse. “A horse is a horse. Treat ’em right and gentle them without scarin’ the crap out of them and the wildies are the best horses you could ever have.” Joey ran a hand down the thick neck and tossed the long mane all to one side. “That’s true, Joey. But I’d rather see them stay wild, the way they were born. Iinii is different, he was an orphan and he’d never have survived on his own,” Laurel said. “That’s an odd name. What does it mean?” Coll reined his horse closer to Joey. “Iinii is buffalo in my language,” Joey told him. The Cornish boy’s expression made Laurel giggle. “When the Blackfoot first saw a horse the closest animal in size they knew was an elk, but the horse was used to carry things the same way we used big dogs at the time, so…elk-dog,” Joey explained. “I guess it’s kind of like the way we still call the old tin mines wheals and stuff. And your grandfather the selkie calls rocks karrek,” Coll mused. “Wait! What? Your grandfather was a what?” Joey pulled his horse to a halt and stared at Laurel. “Sure. You know I can keep a secret. What’s a selkie?” Joey persisted. “Coll, you want to explain? You probably know more of the old stories than I do,” Laurel said. They set their horses in motion again, following the wide trail toward the river. 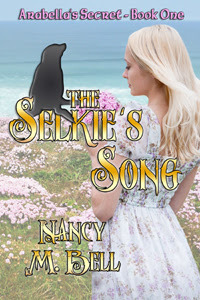 “A selkie is a shapeshifter…” he paused to see how Joey was taking his words. “Who knows?” Joey frowned. “More than your family…and him?” He nodded in Coll’s direction. “Yup. People in Cornwall, but only close friends of Gramma Bella. Mom, Dad, Coll’s gramma, Sarie, me, Aisling and Gort, I think that’s it,” Laurel replied. “Don’t forget that old guy, Red, your gramma told you about. The one that used to work for your Grampa D’Arcy,” Coll reminded her. “Yeah, but that was a long time ago. He’s gone now, but he was there when Dad was born,” Laurel agreed. “Wow! Like a legend come to life. That’s pretty cool.” Joey shook his head. “Just remember you can’t breathe a word of it. To anyone,” she cautioned him. “No worries. I sure don’t want your dad mad at me,” Joey agreed. “Me either, so let’s keep mum about me opening my big pie hole,” Coll worried. “I’m just glad him and Gramma Bella are speaking to each other again,” Laurel remarked while her horse picked his way down a steep slope toward the river. “I thought your gramma was staying in England?” Joey said. “She is. But her and Dad saw each other for the first time since I was a kid when we were there last Christmas. I have no idea what they said to each other, but he hugged her before she left, and he even agreed to meet Vear Du and be civil to him. It took a lot for him to swallow his anger and do that,” Laurel said. “Maybe we’ll see that stallion again.” Coll loped easily beside her. “The foals will be gettin’ big, and I bet some of those bachelor stallions will be getting pushed out of the band. That’s always exciting to watch.” Joey caught up to Laurel and Coll. A quick check satisfied Laurel the horse trap in the cottonwoods near the river was still dismantled. They rode a kilometer or so further up the valley to ease her mind further that there were no more traps in the vicinity. The sun was lowering in the western sky when they came up out of the coulee onto the rolling prairie. 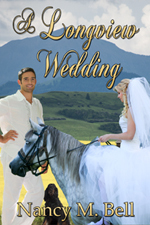 Joey waved a hand in farewell and loped off toward home while Laurel and Coll jogged toward the Rowan homestead. “What does that mark on the cows mean?” Coll wondered when they passed a herd of red brockle-faced cattle. “How do you read it? Looks like random marks to me.” Coll frowned and turned his head sideways trying to make sense of the marks. “Take it apart. The thing that looks like a roof? That’s a ‘rafter’, below that is a reversed R. So, you read it as ‘rafter, reverse R’ on the right rib. “You mean it matters where you put the brand?” Coll turned his attention back to Laurel. “Race you home!” Laurel leaned forward and urged Sam into a gallop. “Hey!” Coll yelped from behind her. 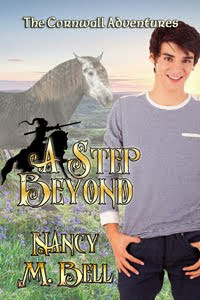 “No fair!” He sent his mount after her, blinking against the dust raised by Sam’s hooves. I am excited to announce the release of His Brother's Bride in the French edition. This is the first title of mine to be translated and released in another language, so I'm a little chuffed. You can click on the cover to see it. 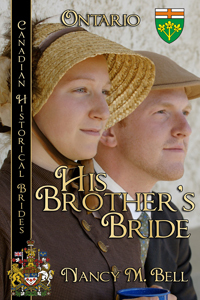 This has been a busy year with His Brother's Bride releasing in March of 2017 and then I was asked to take over the creation of the Manitoba book for this collection. I partnered with Margaret Kyle as my research assistant and go to source of all things Mennonite in southern Manitoba. Landmark Roses is the result of that collaboration and the title released in November of 2017. Click on the cover for the buy link. Elsie Nuefeld loves to sit on her porch and watch the children grow in the Mennonite community near Landmark, MB. Returning to the area after moving to Paraguay for a time, Elsie is happy to be living on the wild rose dotted prairie of south-eastern Manitoba. Her granddaughters are growing up and getting married, it's an exciting time. Secure in her long standing marriage to Ike, Elsie is content to observe the community from the sidelines and rejoice in the joys of the young ones. 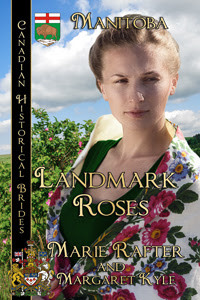 She often walks with her daughters and granddaughters through the graveyard abloom with wild roses and shares the stories of the ancestors sleeping there. It’s important, she feels, for the younger generation to feel connected to those who went before. Elsie hopes when she joins those resting beneath the Landmark roses the tradition of honouring the memory of the forebearers continues. Then I also had a hand in the New Brunswick title, On A Stormy Primeval Shore. Partnered with Diane Scott Lewis, I served as research assistant and alpha reader for this title. It was a wonderful experience and everyone I contacted for obscure information was very helpful. We are hoping to do some events in New Brunswick this June. 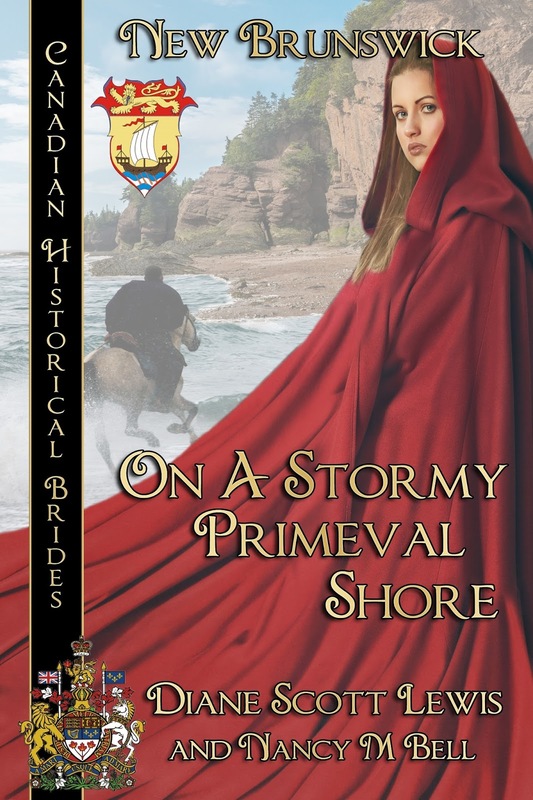 On A Stormy Primeval Shore just released on January 1, 2018. 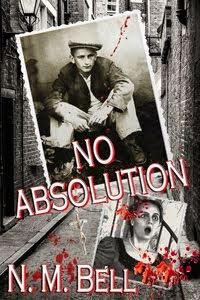 All the titles in this series have been well received and garnered excellent reviews. And to top it all off, my very first translated work! I am pleased to announce I will participating in an author tour of northern Alberta libraries. I hope if you're in the vicinity you'll come out and say hello. I will be speaking on a number of topics about the craft of writing and about my books in general. Wonderful New Book from Penny Lockwood. Ghostly Visions,a dual offering of Ghost For Lunch and Ghost for Rent. The lovely and talented Penny Lockwood is my guest. 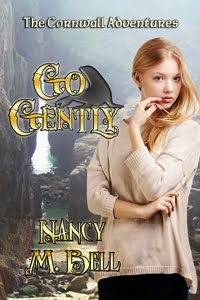 I know you'll enjoy getting to know her better and exploring her newest offering Ghostly Visions. I've had the pleasure of working with Penny and I can tell you she is an excellent author and a fine person, to boot. If you have young people in your family or in your circle of friends be sure to augment your library with all of Lockwood's works. You won't be sorry. Money well spent! If you're looking for some summer romance reading, be sure to get your copy of Love Delivery, Lady in Waiting, and Mirror, Mirror. Penny Lockwood (Ehrenkranz) has published over 100 articles, 75 stories, a chapbook, and her stories have been included in two anthologies. She writes for both adults and children. 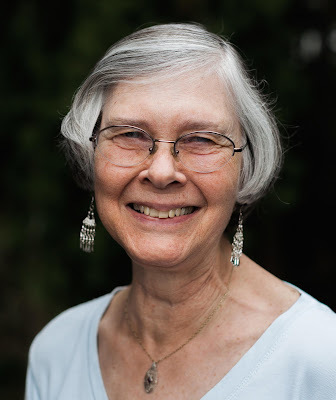 Her fiction has appeared in numerous genre and children’s publications, and non fiction work has appeared in a variety of writing, parenting, and young adult print magazines and on line publications. She is a former editor for MuseItUp Publishing, 4RV Publishing, and Damnation Books. Visit her web site at http:// pennylockwoodehrenkranz.yolasite.com and her writing blog at http://pennylockwoodehrenkranz.blogspot.com/. 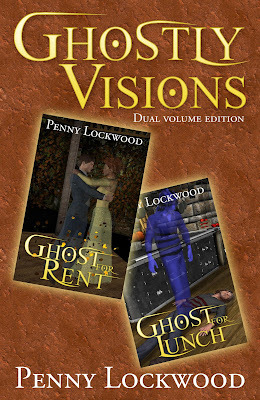 4RV Publishing has joined her two middle grade novels (Ghost for Rent and Ghost for Lunch) as Ghostly Visions. She recently released Boo’s Bad Day with 4RV Publishing and has one other children’s picture book under contract with them: Many Colored Coats. 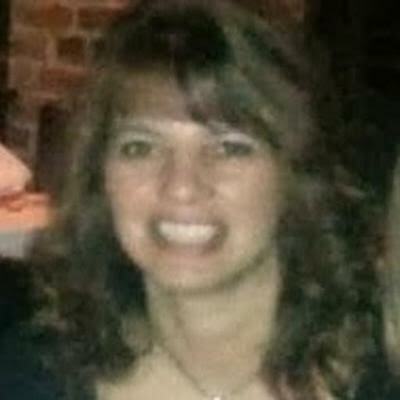 She has three romances published by MuseItUp Publishing: Love Delivery, Lady in Waiting, and Mirror, Mirror. Her short story collection, A Past and A Future, is available through Alban Lake Publishing and Smashwords. I have an exciting new opportunity! I've been offered an exciting new opportunity by my publisher, Books We Love. A terrific author who we have lost, Pat Dale, is being kept alive by his literary executor. Pat's wife has agreed to let me revamp and re-release Pat's work. 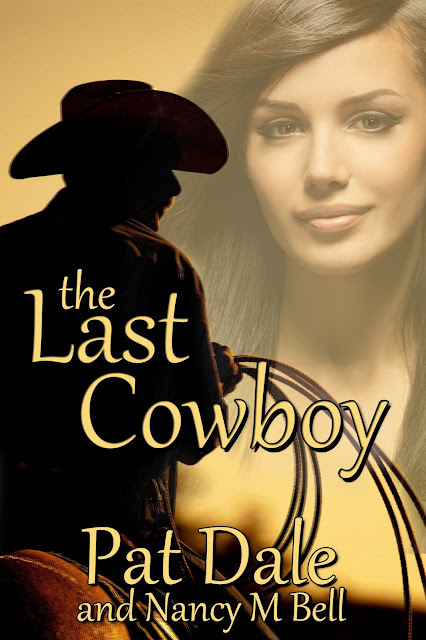 Currently, The Last Cowboy is available on Amazon and where good books are sold. This is the first of the re-releases. Here's the cover by Michelle Lee. You can click on the cover to be taken to a buy link. 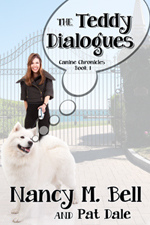 The next book will be The Teddy Dialogues. Pat has created a wonderful character. Teddy is dog with a unique voice and personality who lives with his person and takes fixing up her love life into his own paws. He has a pararmour of his own as well, much to the dismay of the poodle's owner. Pat's original short story will form the basis for the dialogues and I will create two or three stories gleaned from Pat's work. It promises to be an entertaining and excellent read. Fun Interview hosted by Steve DeWinter of Old Dog New Trx. If you're looking for great Christmas gifts, my books are available at Books We Love. Just scroll down, click on a cover and it will take you to the book store. 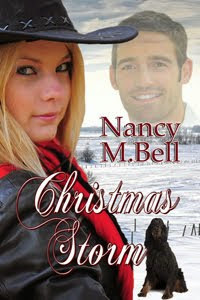 Don't forget to pick up the five Christmas novellas which just released on November 1, 2015. 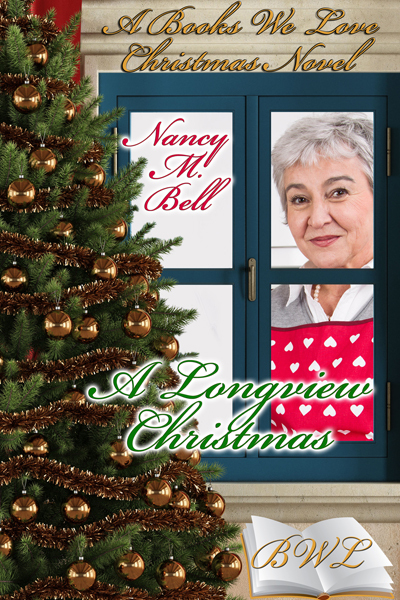 My contribution is A Longview Christmas. It's Christmas Eve at Mary and Luke Cassidy's and match making Mary is in fine form. Don't miss out on the hilarious goings on. 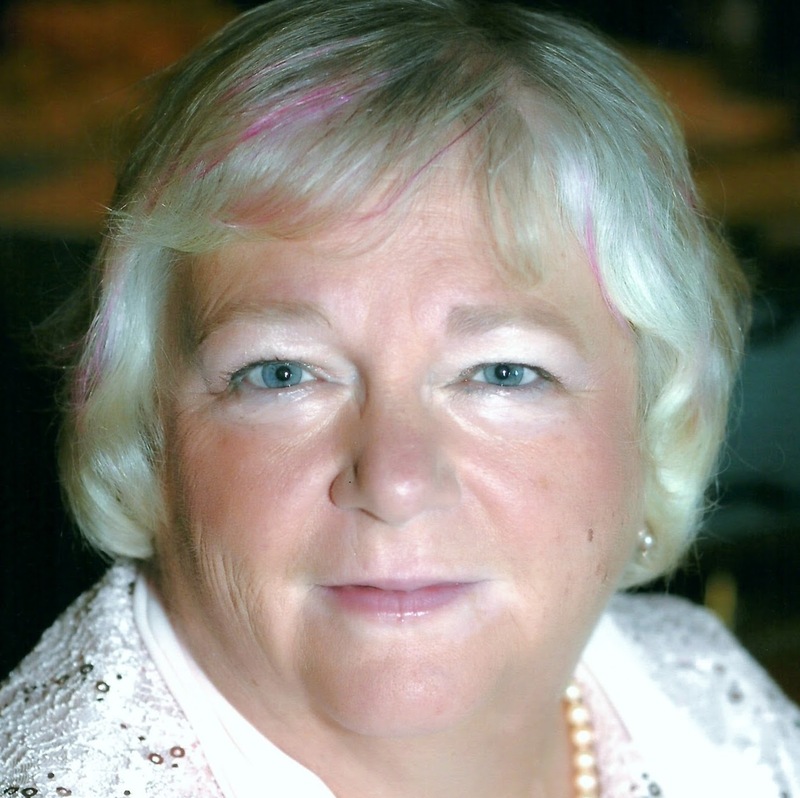 Welcome Rave Reviews Book Club Spotlight Author TC Booth! generations of teens is bullying. can be posted online for all to see. are more likely to be bullied by rumors or being left out.  Girls bully to feel a sense of importance and control. to get bullied by both boys and girls. Copyright notice: Unless otherwise indicated, all bog content (except comments by others)copyright Nancy M Bell. Educators need not purchase a license for use, if already covered by an Access Copyright permission.